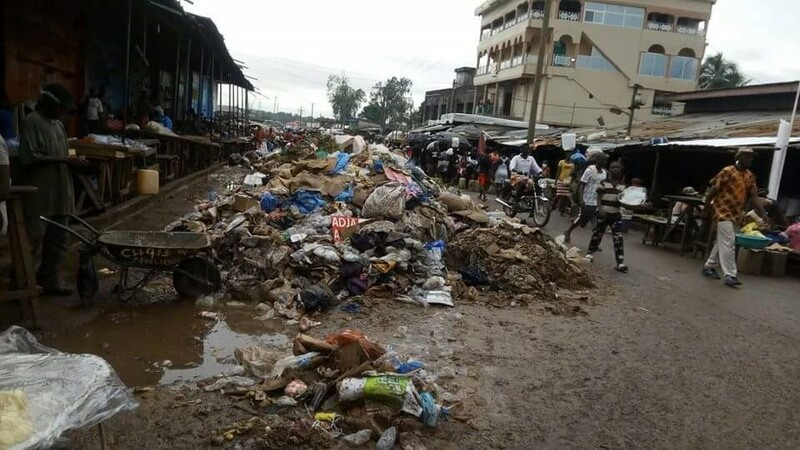 Paynesville, one of Liberia’s largest municipalities, has come under the spotlight for its filths and mountains of garbage while the city corporation appear incapable of remedying the situation. But responding to criticisms from the public since concerns heightened over the increasing presence of garbage in the commercial district of Red Light and several other communities in the city, Mayor Belcher –Taylor argued that she took over a city government that had no logistics and funding. “We don’t have any equipment here. When I first got appointed and I took over as city mayor, I didn’t even meet a wheelbarrow, I didn’t meet stationery, I didn’t have fuel to run the generator,” she told reporters Tuesday. She also complained about how she’s struggling to manage the city due to lack of resources, adding that she was constrained to “beg” private individuals, who loaned the city trucks and loaders to dispose stockpile of garbage. “ When I came here, there was not even one tricycle here. A friend of mine was the one that turn them over to this city. We are sourcing funding to be able to build transfer stations all over Paynesville for people to be able to dump their dirt. We want to do door to door garbage collection and have been asking the people of Paynesville to come and pay small fees to the city for garbage collection,” she said. 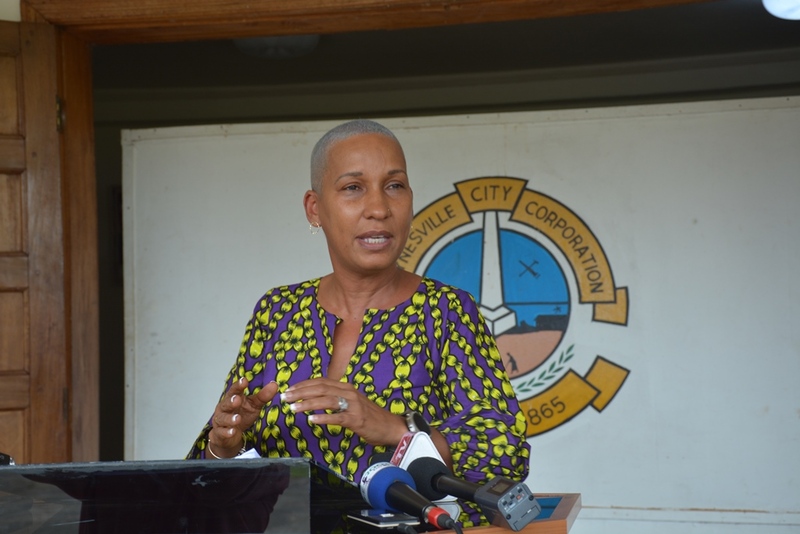 Mayor Belcher –Taylor disclosed that she inherited a debt of US$300,000 that she has been struggling to service while operating on a “negative bank balance”. “We were running the city on friendship. I see one friend I beg for gas slip, I see one friend I call because I know the people who owned AMINATA – we go and credit because we don’t even have LEC in this building. We are running on generator. I can’t believe the city hall of the largest city doesn’t even have LEC when we have a substation next door,” she said. At the same time, she accused the leadership of the Red Light market of not fully cooperating in order to clear the garbage off the market. She said discussions with the marketing association, which is collecting fees from marketers for garbage management, in order to remedy situation have shown little progress so far. “They came here, and we talk back and forth; finally in March – the records are here – they brought in L$100,000 in March,” she said of the LMA contribution to PCC for waste collection. She then frowned on the marketing association, while also calling on marketers themselves “to hold their leadership that they voted accountable to take them out of that dirt”. “Either they pay to the city or find a way to strategize to clean out that dirt from Red Light and they should not shift blame on anybody because they are to be blame,” she blasted. When PCC opted to conduct a second phase of cleaning-up of Red Light, companies the administration owed heavy debts requested rental fees before continuing the contract, she said. She stressed that although the LMA is collecting garbage fees, it often default of its contribution to the City. She added that when the ‘Weah for Clean City’ was launched, the President observed PCC challenges and approved “some finances for this city corporation”. “We have gotten the first portion of the money but we had to paid some of the people we owed to be able to carry out this work. Because we were owing too much money.